Why Should I Have A Will In Georgia? Many of our clients have questions about what will happen to their property when they die. 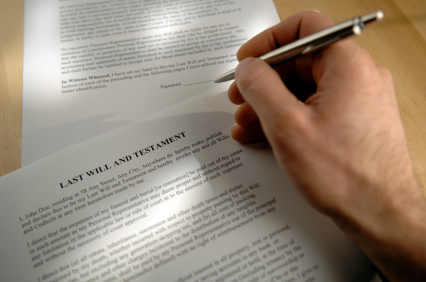 In Georgia, a will provides individuals the opportunity to describe how their property is divided upon death. What a Will Is Not: Voicemails, letters, or other lists are usually invalid under Georgia law for distributing property upon death. Why You Need a Will: A will allows you to specifically identify how you want your property distributed upon death. A will also provides the opportunity to name an Executor of your will who is usually responsible for: accessing bank accounts, selling property, and ensuring the terms of the will are carried out or executed. Letters Testamentary: If a will is properly executed the probate court will often give the Executor of the will Letters Testamentary. These allow the Executor to properly dispose of your estate as you set out in your will. Without Letters Testamentary the Executor is usually deprived of the legal authority to carry out the terms of your will. We understand the Georgia Probate law and the value of all these documents for your peace of mind and the protection of loved ones, and we feel they should be available at an affordable price. At A. Bishop Law, our Georgia Probate attorney welcomes anyone with any Georgia Will, Estate or Probate questions to Call or Email us today. Please remember that all initial consultations are free of charge. About the attorney: Anne Bishop is a Georgia Probate attorney with A. Bishop Law in Gainesville, Georgia. A. Bishop Law handles matters regarding Wills, Estate Planning and Georgia Probate and can assist clients throughout Georgia including: Hall County (Gainesville, Oakwood, Flowery Branch), White County (Cleveland), Barrow County (Auburn, Bethlehem, Braselton, Carl, Statham, Winder), Lumpkin County (Dahlonega), Gwinnett County (Buford, Duluth, Sugar Hill, Lawrenceville), Jackson County (Braselton, Commerce, Hoschton, Jefferson, Pendergrass), Dawson County (Dawsonville), Habersham County (Demorest, Cornelia), Clarke County (Athens) and all of Northeast Georgia. This article should not be considered nor relied upon as legal advice since it is only intended for general overview and informational purposes. Please consult with a Georgia Probate attorney on your specific situation in order to determine an appropriate legal course of action.